Steve is originally from Reno attending school at Huffaker Elementary, Vaughn Jr. High and Wooster High School. 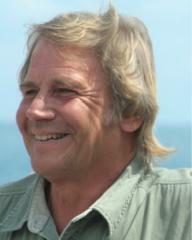 He graduated in 1973 from UNR with a degree in Renewable Natural Resources, specializing in wildlife management. He went on to get a Master’s degree in Wildlife Management from the University of Pretoria in South Africa after having worked in range and wildlife management for the BLM and US Forest Service in Wyoming, Alaska, and Idaho. After receiving his MSc. Degree he worked as a ranch manager and professional hunter in South Africa, as CEO for A Rocha South Africa (NGO) Conservation Science Director for the same as well as a Field Director for the Rocky Mountain Elk Foundation in Washington State and Alaska. Steve has worked for the Nevada Department of Conservation and Natural Resources, Stat Parks, at Berlin, Nevada and later at Pioche, Nevada as a Regional Manager. Currently he is a Conservation Specialist II with DCNR based in Winnemucca.